Improved DMR SLED 2019 frame geometry with Offset Bushing. Slacker angles and lower Bottom Bracket. Fast! 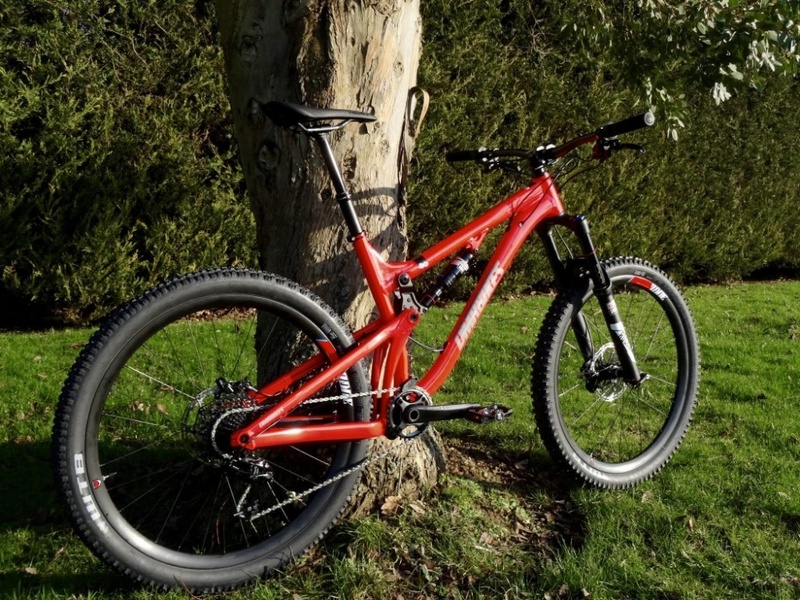 DMR ‘Orbit Link’ suspension developed with industry guru David Earle. Suspension which begs to descend and is confident to climb. Alloy frame durability proven with DMR Team riders in 2017-18 seasons. SLED extracts the fun out of every turn and top speed from every decent. • Virtual pivot delivered through our own ‘Orbit link’ suspension design. Developed with David Earle from Sotto design. • The Rotor needs fitting to front wheel. • The Wheel needs fitting. • You’ll need to align the Front brake. • Handlebars need fitting to the stem. • The X-Fusion Manic Dropper post needs fitting, and the cable setting up (manual included). • The SLED bike has been PDI checked prior to packing, however we recommend you completing a full PDI before your first ride. • Wheel reflectors, bar/post reflectors and bell. • Spare Praxis chain guide top guide. • Spare RHS TRP G-Spec I-Spec adapter. • TRP G-Spec Slate manual. The Wheelbase (the distance between the axles). andrextr - published on 6 Feb 2017. In this video we are going to see how the DMR SLED 2017 works and its interesting dual-link suspension system with the first-link pivoting around the bottom-bracket. "The Sled is a bike you can feel immediately at home on." "It is stiff and bulletproof and is fun to ride." 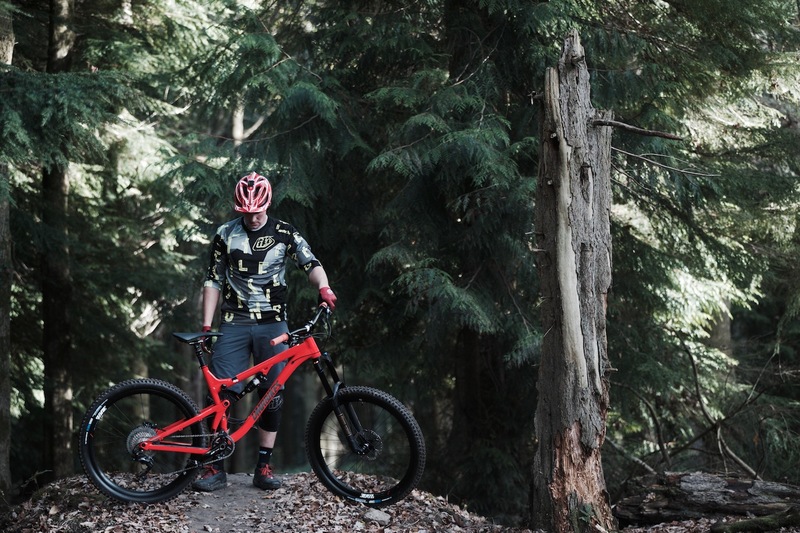 "It’s a bike that lets you really nail fast and swooping trails." "The Sled is a properly good descender. It’s fast, it’s stable and it brings a good mix of stability at speed and good cornering. If you’re out riding steep, natural, technical trails every weekend then I reckon you’ll love it. 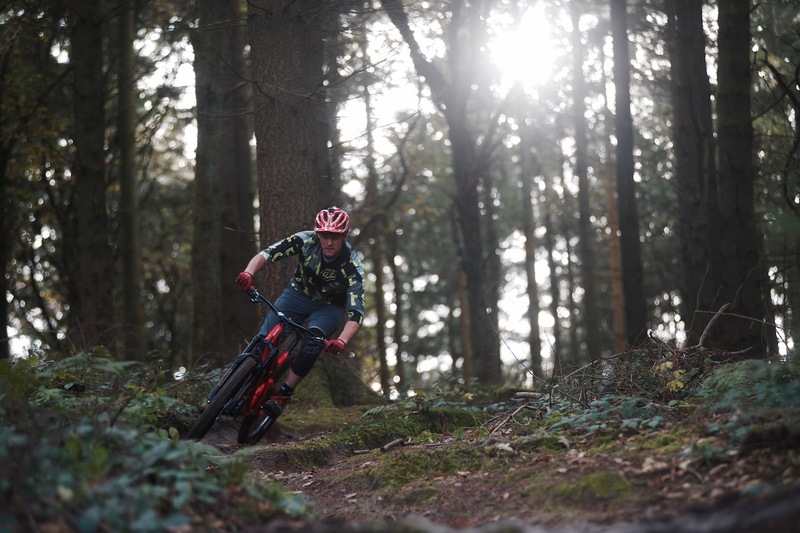 If you’re at Bike Park Wales, the Forest of Dean or Windhill then it’s going to do you proud." "DMR have done their homework…The link works really well…allowing the bike to track the ground nicely." 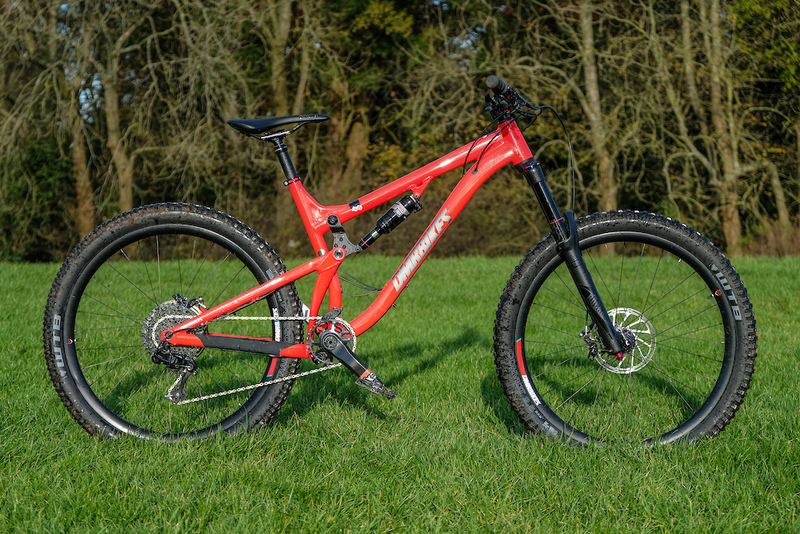 "A lot of travel for a lot less dollar than many with a tidy build kit and lurid colour that pops in the deep dark woods." 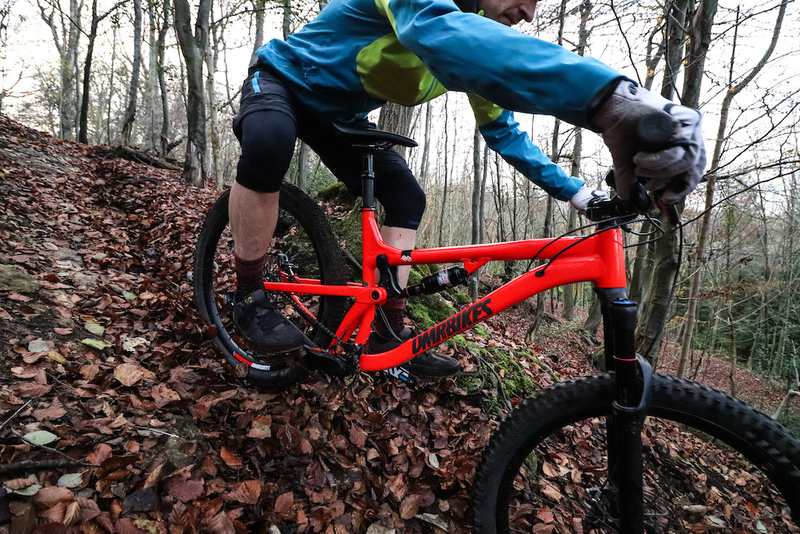 "The grip and shape are excellent, the componentry is solid, and apart from it needing a longer seat post it’s good to go." "As for blasting around flowy machine-built trails and launching doubles and drops, there is no doubt that the SLED is an absolute scorcher of a trail bike." through the types of rhythm sections that are becoming more common on new-school machine-built trails." "The SLED frame is mega beefy and designed to last a very long time." "The new DMR SLED feels grown up, sophisticated even, but quietly it whispers, “Send it, I’ve got your back,” like any DMR should." "The ride feeling is like a Range Rover running a supercharged V12: totally confident and planted, boasting excellent anti-squat properties and acceleration as hit the gas out of corners.."
"Exceptionally stable, calm and capable, this may be more bike than many of us need. However when it climbs and sprints so well, it shows itself as a great all-rounder with a desire to go dangerously fast." If you've got a SLED why not write a review.. click the 'WRITE A REVIEW' on the RHS.